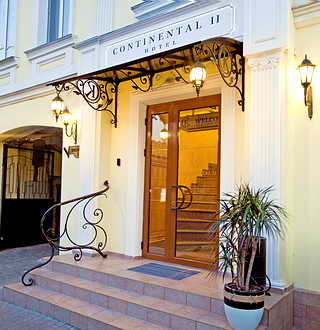 Mini-Hotel Continental - II (renamed to WELLOTEL)is located in the mansion on Tiraspol'skaya Square. 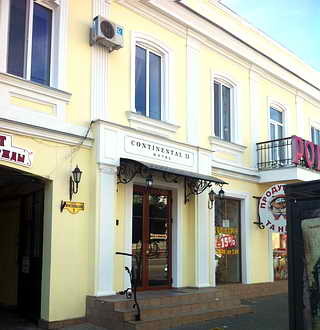 The hotel is 10 minutes walk from Odessa's central street - Deribasovskaya and 5 min. walk from Sobornaya square and The Orthodox Cathedral. The new restored building, facing the Tiraspol'skaya, Square once belonged to Mr. Katroneo, today is beautiful in its own way. The building owes its beauty and glory to the legendary Faberge. 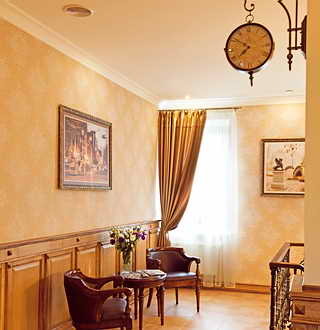 Odessa Faberge factory in the past one and a half pre-revolutionary decades was located on the second floor of the mansion. 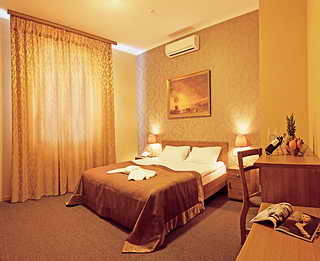 Mini-hotel consists of 12 double rooms 2 categories: Superior room and Standard room. 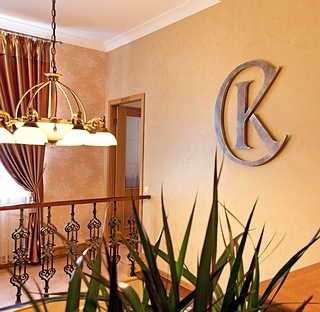 All rooms are designed in a classical style. 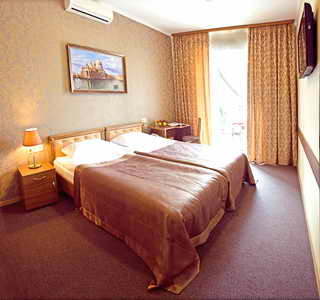 8 Standard rooms are with twin beds. 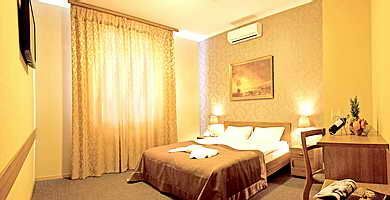 Cozy and comfortable rooms include: private bathroom, satellite TV, telephone, air conditioning system, mini deposit box, mini fridge, free WI-Fi access in rooms and public areas. Nearby, the city paid parking lot, on a nearby Street. 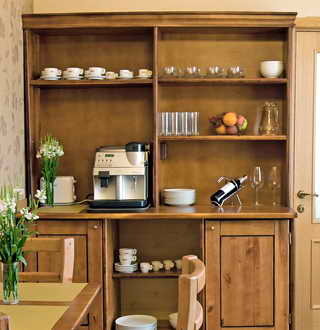 Breakfast at a nearby Café included in room prices. 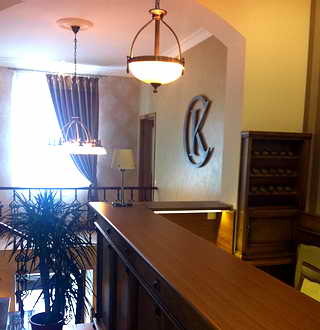 City center - 500 m.
-35%, -33% FOR ALL ROOMS! The promotional prices are valid for accomodation 06.09.17 - 30.09.17! When booking in the additional wishes please write name of this special offer. 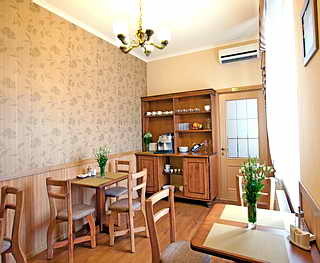 Not big room with two separate beds 90х200, conditioner, mini-deposit box, TV, mini-fridge, free Wi-Fi internet. 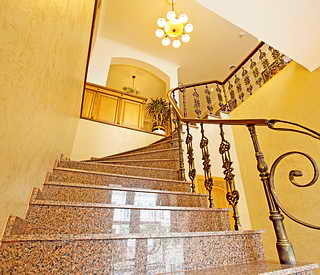 There are rooms with balconies. Windows and balconies are facing the Tiraspolskaya Square. 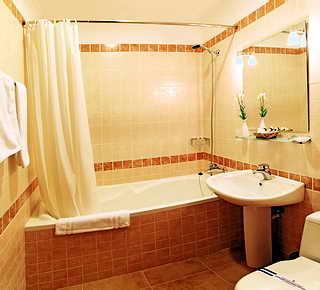 In the bathroom: bath, towels, cosmetic set. 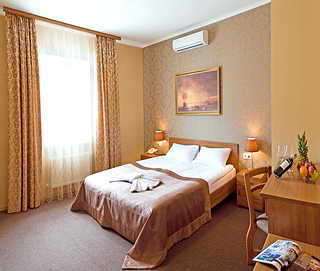 Cozy room with one double bed 160х200. The windows are facing the court yard. 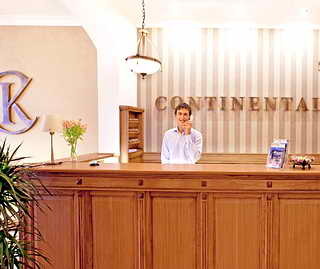 In the room: conditioner, mini-deposit box, TV, mini-fridge, free Wi-Fi internet. In the bathroom: bath, towels, cosmetic set. * The prices valid from 01.06.2017 till 30.09.2017. * Children up to 2 years old stay in parent's room free of charge. Excellent location. Clean. Friendly staff. Modest breakfast.